The New Weir. 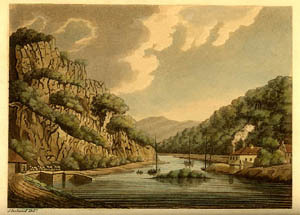 From Samuel Ireland, Picturesque Views on the River Wye (1797), facing p. 97. Wordsworth’s “Lines Written a Few Miles above Tintern Abbey” is one of the most influential poems in literary history. 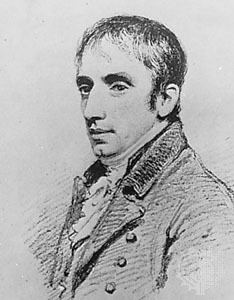 During this course we will stage a series of interrogations of the poem, seeking both to understand the context within which Wordsworth came to produce the poem during July 1798, and to place the poem in relation to Wordsworth’s other work (such as The Prelude) and that of some of his contemporaries, including Coleridge, Byron, and Shelley. In making this study, four modern critical contexts will be particularly important. First, the close examination offered by critics such as Nicholas Roe and David Bromwich of Wordsworth’s relation to the troubled politics of the 1790s, comprised by his experience of the French Revolution and his rejection of the repressive war policies of the British government. Second, New Historicist treatments of the poem, especially the contentious chapter on the poem by Marjorie Levinson which argued for Wordsworth’s evasion of historical realities associated with the Abbey, which has elicited a slew of subsequent comment. Third, ecological readings of Wordsworth’s poetry, initiated by Jonathan Bate and Karl Kroeber, for which this poem has been a central document. And fourth, feminist readings of the poem that have considered Wordsworth’s relation to the mute figure of his sister Dorothy in the poem, as well as Wordsworth’s characteristic gendering of nature as female. Through placing this one poem at the hub of a wheel, the course engages a series of sharply focused perspectives on the intellectual and literary history of the Romantic period and its critics that would otherwise be impossible to achieve. The course will interest students of cultural history, as well as those wishing to deepen their knowledge of Romantic literature. In addition to works by Wordsworth, we will examine works by earlier poets who influenced Wordsworth’s poem or who were later influenced by Wordsworth. Reading are indicated in each section. We will cover all 9 sections during the 13 weeks of the course, but how much time we spend on each will depend in part on the interests of students. NB. No classes October 8 (Thanksgiving) or November 12 (Remembrance). 1. Introductions. Wordsworth and Romanticism, a primer; a first reading of "Tintern Abbey." 2. The context: Wordsworth in the 1790s: politics, the picturesque, the loco-descriptive tradition, Gothic sublime. 2.a Politics: The French Revolution and its aftermath. Cf. Wordsworth's comment in his fragmentary "Essay on Morals" (c. 1798): "Now, I know no book or system of moral philosophy written with sufficient power to melt into our affections [?s], to incorporate itself with the blood & vital juices of our minds, & thence to have any influence worth our notice in forming those habits of which I am speaking. Can it be imagined by any man who has deeply examined his own heart that an old habit will be foregone, or a new one formed, by a series of propositions, which, presenting no image to the [? mind] can convey no feeling which has any connection with the supposed archetype or fountain of the proposition existing in human life? These moralists attempt to strip the mind of all its old clothing when their object ought to be to furnish it with new. All this is the consequence of an undue value set upon that faculty which we call reason. (Prose ed. Owen & Smyser, I, 103). Helen Maria Williams, Letters written in France (1790): The Fete of Federation, July 14 1790; Letters from France (1793): The September Massacres, 1792. Bromwich, David. "The French Revolution and 'Tintern Abbey'." Raritan 10:3 (1991 Winter): 1-23. Richey, William. "The Politicized Landscape of 'Tintern Abbey'." Studies in Philology 95:2 (1998 Spring): 197-219. William Gilpin, On Picturesque Travel (1794). Wordsworth, Descriptive Sketches (1793), 1-191. (again) Wordsworth, from The Prelude Book XI, 149 ff. Owen, W. J. B. "The Most Despotic of Our Senses." The Wordsworth Circle 19 (1988): 136-144. John Denham, "Cooper's Hill" (rev. 1655); John Dyer, "Grongar Hill" (1726); Richard Jago, "Edge Hill": Solihull; The Avon (1767); Thomas Gray, "Ode on a Distant Prospect of Eton College" (1747); William Crowe, "Lewesdon Hill" (1788); William Lisle Bowles, "To the River Itchen" (1789); Coleridge, "Sonnet V. To the River Otter" (1793). Wordsworth, "Advertisement"; "Lines Written in Early Spring"; "The Last of the Flock"; "Lines Written near Richmond"
Miall, David S. "Locating Wordsworth: 'Tintern Abbey' and the Community with Nature." Romanticism On the Net 20 (November 2000). 5. Romantic literary theory: Preface to Lyrical Ballads (1800) and other writings. Extracts. 6. 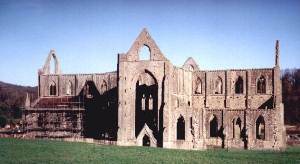 Contemporary writers read "Tintern Abbey": Bayley, Byron, Shelley, Keats; post-Romantic influence. Walter Pater, Wordsworth, from Appreciations (1890). 7. New Historicist views of the poem. Johnston, Kenneth R. "The Politics of 'Tintern Abbey'." The Wordsworth Circle 14.1 (1983): 6-14. Levinson, Marjorie. "Insight and Oversight: Reading 'Tintern Abbey'." Wordworth's Great Period Poems: Four Essays. Cambridge: Cambridge University Press, 1986. 14-57. Roe, Nicholas. "The Politics of the Wye Valley: Re-Placing 'Tintern Abbey'." The Politics of Nature: Wordsworth and Some Contemporaries. New York: St. Martin's Press, 1992. 117-136. Rzepka, Charles J. "Pictures of the Mind: Iron and Charcoal, 'Ouzy' Tides and 'Vagrant Dwellers' at Tintern, 1798." Studies in Romanticism 42:2 (2003): 155-85. Kramer, Lawrence. "Victorian Sexuality and 'Tintern Abbey'." Victorian Poetry 24.4 (1986 Winter): 399-410. Homans, Margaret. "Eliot, Wordsworth, and the Scenes of the Sisters' Instruction." Critical Inquiry 8:2 (1981 Winter): 223-241. McGavran, James Holt, Jr. "Xanadu, Somersetshire, and the Banks of the Wye: A Study of Romantic Androgyny." Papers on Language and Literature (PLL), 26.3 (1990 Summer): 334-345. Soderholm, James. "Dorothy Wordsworth's Return to Tintern Abbey." New Literary History 26.2 (1995 Spring): 309-322. 9. The place of Nature. Bate, Jonathan. From The Song of the Earth. Cambridge, MA: Harvard University Press, 2000. pp. 140-152. Gravil, Richard. "Tintern Abbey and the System of Nature." Romanticism: The Journal of Romantic Culture and Criticism 6.1 (2000): 35-54. McKusick, James C. From Green Writing: Romanticism and Ecology. New York: St Martin's Press, 2000. pp. 66-69. A selective listing of journal essays and chapters. A Guide to "Tintern Abbey": annotations, etc.